Despite the controversy that Apple’s Smart Battery Case caused when it was released back in 2015, an icon found within the second beta of WatchOS 5.1.2 suggested that Apple was working on a new version for its most recent devices. And now, a render obtained by 9To5Mac appears to confirm this. Although this case won’t be winning any design awards, it’s certainly a big improvement over the previous version. Gone is the odd-looking battery island and in its place is a new bulge that occupies three-quarters of the rear and extends to the bottom and sides. This particular version appears to be designed for the iPhone XS. But according to the information, Apple has three different models in the works: A2070, A2071 and A2171. 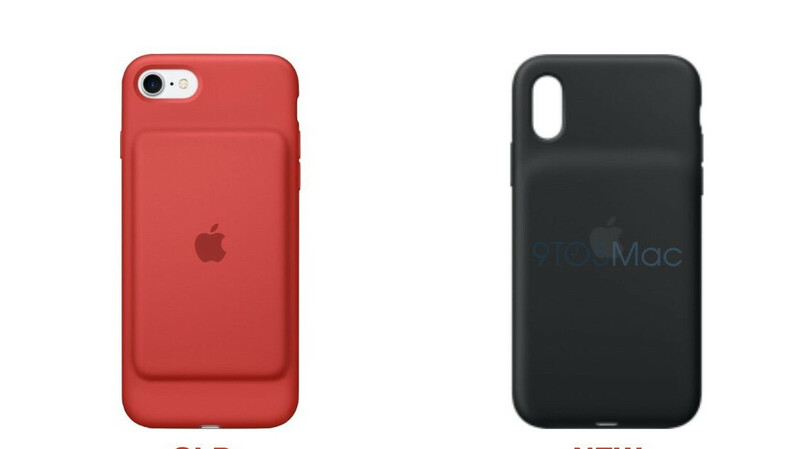 This would suggest that, in addition to the iPhone XS, new Smart Battery Cases for the iPhone XR and iPhone XS Max will eventually be released too. At the moment, the battery capacity of this new case remains unclear. But if the rear bulge is anything to go by, the included cell will likely be quite a bit bigger than the one seen on the current case. Considering the original Smart Battery Case was released in December 2015, there’s still a chance Apple could release its new version this month. However, it would probably make more sense for the brand to launch the accessory alongside the new AirPods and AirPower charging mat in Q1 2019. No longer looks like a tumor, now it's like a back hump. I wonder if it will support wireless charging?